Audit information can be stored for specific cubes. The storing of audit information is disabled by default. To enable it, the parameter “audit” has to be added to the configuration file palo.ini. It is a switch parameter and has no additional arguments. Additionally, audit storage has to be enabled for every database cube for which it should be kept. At least W rights are required for the rights objects “dimension element” and “audit” to make changes to the audit settings. 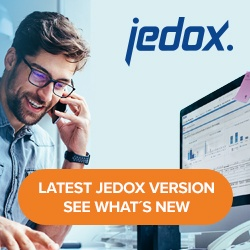 See Rights Objects in Jedox for more information. You cannot enable the parameter “audit” together with the parameter “crypt” In the file palo.ini. The data storage for audit information currently cannot be encrypted, and so that storage would contain readable data information which would conflict with the purpose of the “crypt” option. The audit keeps track of all individual cell changes: it logs the cell path, time of change, user, new value, and operation (Splashing, Copy, etc.). Note that auditing only stores the change for the cell that was directly modified. It will not store indirect changes, such as when a cell is affected by a splashing operation on a parent element. Also, mass data changes as performed by Jedox Integrator will not be logged. By contrast, cell changes initiated by a Supervision Server cube worker script will be logged in the audit information, provided that these are not using the API for mass data change themselves. The audit log would store the user who had made the initial change also for the changes made by the SVS script. With context menu command “Drill History” in Jedox views (right click on a corresponding cell).